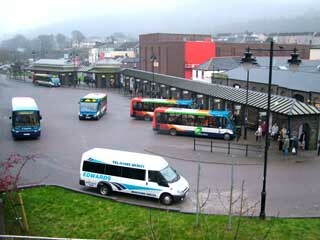 Most of the bus routs in Cynon Valley start and end at Aberdare bus station. The whole of The Cynon Valley is easily accessible by bus with regular services and bus stops at regular intervals. Destinations outside of the valley include the major cities of Cardiff and Swansea, together with other valley towns such as Merthyr, Pontypridd and Tonypandy. The main service providers are Stagecoach and Veolia? National express also operate a daily service to many UK city destinations. Cardiff Central, serving many other towns and villages such as Mountain Ash and Pontypridd along the way. The bus station is easily accessible from the railway station by means of a footbridge, but some Trecynon, Penywaun, Hiwaun and Rhigos buses actually meet the train at the station exit to extend the rail service northwards. 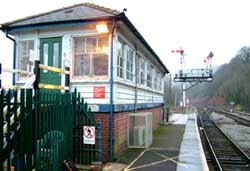 Whilst most Cynon Valley railway stations are new and modern, you can also step back in time at Abercynon Railway Station, a firm favourite with local train spotters, with it's old, GWR style signal box and signals. The nearest major international airport is Cardiff Wales Airport (formally known as Rhoose Airport). In recent years it has become a major player in U.K. air travel with over 50 direct destinations and over 400 worldwide connecting flights. 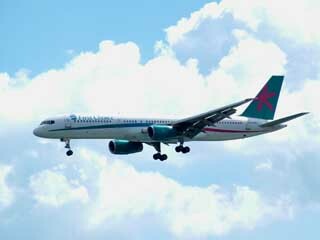 When traveling by air, always contact the airline or travel company before hand, as rules and allowances change from time to time. If you are interested in local aviation history, then this link is just up your street. It is run by Gary Hillard who used to work for Cambrian Airways at Rhoose Airport. 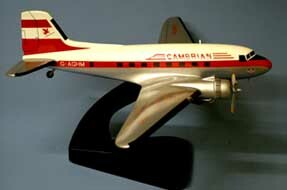 It is an Aladdin's Cave of information on the civil aviation scene in South Wales from the 1950s onward. The site is teaming with images of those long forgotten airliners and will certainly bring a lump to the throat of most enthusiasts. Return to Cynon Valley front page.